If you’re an avid reader of Vogue Paris, you’re no doubt aware that Emmanuelle Alt loves the 80s. Kaia Gerber‘s cover back in February and Grace Elizabeth‘s in March both evoked the mood of the era. Now it’s the August issue’s turn to channel the 80s as Iselin Steiro flashes her pearly whites and a dramatic short cut in the David Sims-shot cover image. 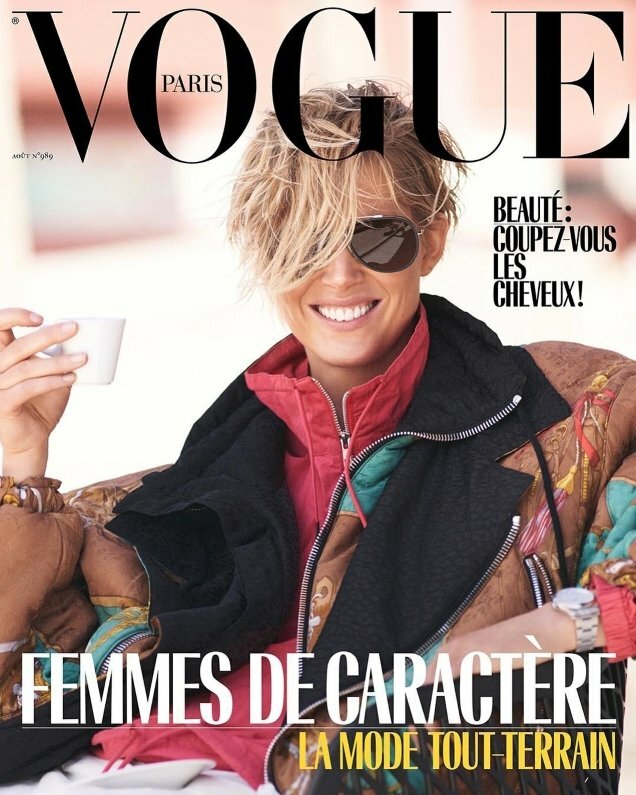 Giving us major Princess Diana on the ski slopes vibes, Iselin was styled by Alt for her second French Vogue cover, wearing a Gucci jacket and some Carrera sunglasses as she chills with an espresso. Members of our forums didn’t hold back when the cover was revealed. “Oh no no no no no! This 100% looks like a last minute decision. That is not a cover shot,” cried MON. “Horrible OMG. This styling is probably the worst thing Emmanuelle has ever done. Good for Iselin but she looks 60+ here,” added sixtdaily. “What is this, looks like a mail order catalogue from the late 80s,” slammed mistress_f. Also pretty underwhelmed with the outcome was forum member GivenchyHomme. “This is pure 80s, in the worst way possible. It’s one thing to have an inspiration and it’s another to flat out copy a very old looking style. It looks like the cover for an old catalog that someone dug up in their garage,” he said. “I really had to double check if this was a real cover. What a waste of talent,” voiced Marc10. “This is very 80s and NOT in a good way. Emmanuelle should stick to 80s glam if she’s going to stay stuck in that era,” noted lelaid. Are you a fan? See what the issue has to offer and join the conversation here.